This sturdy, yet lightweight material is an optimal choice for residential roofing applications. Aluminum, unlike steel, is corrosion and rust resistant. Aluminum is highly malleable, and can be transformed into most roofing system profiles, such as shingle, tile, slate, seam, and shake. It is extremely strong and durable, and often comes pre-painted for your convenience. Aluminum has been used in architecture for over 130 years. In fact, one of the first times it was used in a roofing application was in the cap over the Washington Monument in the late 1800’s. Prior to this, it was considered a precious metal, but more innovative manufacturing processes were developed to create aluminum alloys that were ideal and cost-effective for the construction industry. Many homeowners are pleasantly surprised to learn that aluminum roofing is generally comprised of between 90 and 95% recycled content, most of which is post-consumer material. For example, a 100-square foot section of aluminum roofing can contain metal from over 1,000 recycled beverage cans. The value, appearance, longevity, and energy efficiency of aluminum roofing makes it an easy decision for many homeowners. Contact us to see the many different aluminum options we have available. Galvalume steel is a material comprised of carbon and iron, then coated with an aluminum/zinc alloy. Many times, galvalume steel has an industrial look due to its often unpainted, shiny metallic finish. Galvalume steel is resistant to corrosion, but unlike aluminum, it will eventually rust. It is important to understand that while steel is economical and lasts longer than traditional roofing materials, it is not likely to last a lifetime like some other metal roofing options. In addition to its industrial, commercial look, there are a few other drawbacks to galvalume steel that must be considered. One important downside to galvalume steel is how easily it scratches. The combination of aluminum and zinc in the material make it weaker, especially on cut edges. Another potential area of concern is what is referred to as tension bend staining. This staining occurs because galvalume steel tends to form tiny cracks when it is bent or formed. These cracks collect moisture, and eventually, rust can settle into the fissures creating discoloration. The staining will spread over time, typically in a spider web fashion. 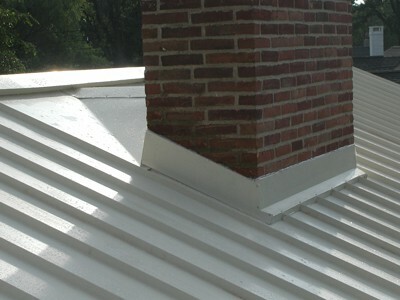 The most common application for galvalume steel is in roofs with simple profiles, for example, the standing beam style. The less you need to bend the metal, the better. The recycled content of galvalume steel is much lower than aluminum. Disadvantages: Often cracks and rusts. Recommended for simple, flat profiles. Not as attractive as other metal roofing options. Steel needs to be cut with shears rather than a saw. Weight: Ranges from 100-150 pounds per 100 sq. ft.
Galvanized steel does an adequate job of covering simple, flat profile roofs. It is a cost-efficient option, and although it is difficult to install, if it is done by a metal roofing professional and properly coated, it can last a long time. There is a range of styles to choose from and different thicknesses depending on the type of building you’re covering. Galvanized steel, like other steel used in the roofing industry, is treated to help prevent it from rusting. The carbon and iron steel alloy is dipped in liquified zinc. The coating thickness varies, with the thickest coating providing the strongest protection against rust and scratches. The most common thickness is G-90. The 90 refers to the 0.90 ounces of zinc cover each square foot of steel. G-60 and G-30 is also available, but are not recommended since they have a much lower life-span and require more maintenance. These numbers only refer to the thickness of the coating; they do not refer to the thickness of the steel, which is measured in gauges. The zinc coating that is applied to the steel offers both galvanic and barrier protection. Galvanic protection simply means that the coating would be impacted before the metal underneath would suffer any damage. Barrier protection is just what it sounds like… it protects the metal from the elements by acting as a barrier. Scratches and rust need to penetrate the coating first before becoming visible, which is why the thickest coating is recommended. In addition to a coat of zinc, galvanized steel roofing systems are also covered with a coat of paint, and in some cases, a “post-forming” coat for added protection. It is important to note, even with a thick coat of zinc, galvanized steel is not recommended for residences near coastlines or in areas with excessive amounts of corrosive particles in the environment. Elements like salt from the ocean can accelerate corrosion and wear on galvanized steel. Disadvantages: More difficult to install. Rust can appear if not installed correctly. Doesn’t last as long as other metal options. Recommended for simple, flat profiles. Steel needs to be cut with shears rather than a saw. Thickness: Shake, slate, shingle, and tile profiles: 0.018” to 0.014” (26-28 gauge). Standing seam profiles: 0.018” to 0.024” (24 to 26 gauge). Copper is a universally sought after roofing material, primarily due to its striking appearance. This metal comes with a higher price tag, and it’s for this reason that most people opt to use it as an accent, for example, on a bay window or dormer. It is also a popular option for churches and historic buildings, since it lends a bit of elegance and timelessness to the overall look of the structure. 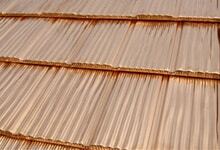 Generally, copper is applied in short standing seam panels or sheeting, however, copper shingles are also an option. Occasionally, flashing materials can even be crafted out of copper. It is not recommended that copper flashings be used with aluminum or steel roofing materials because the mixing of the metals will cause the non-copper elements to deteriorate much more quickly. One of the main reasons people fall in love with copper roofs is the attractive verdigris patina that forms after several years. This is the bluish green build-up that you often see on pure copper. Aside from looking great, the patina also serves as a protective barrier against corrosion, and it is the reason copper roofs last so long. Typically, it takes between 8 and 15 years for the patina to appear, but it will ultimately depend on the environmental factors at play. Salt spray from the ocean, for example, will accelerate the patina process drastically. It is possible to purchase copper that already has a patina, or has been treated to speed up (or slow down) the process, many people opt to let it happen on its own. Once copper ages, water runoff tends to become an issue. As water collects and runs off the roof, it picks up some of the patina with it. This can lead to staining on metals, brick, wood, and other surfaces. This issue can be mitigated by controlling the runoff patterns. Alternatively, the copper can be coated in lead. This is not as popular an option, especially in modern times when health concerns surrounding lead prevent it from being used in many construction applications. Copper is extremely easy to work with because it is so soft and malleable and surprisingly, it is also very durable. For those that desire the look of copper without the high cost, there are copper finish options that can be applied to steel or aluminum roofing systems. The options range from shiny new-looking copper to weathered and patinaed copper. Though it is a pricier option, once you install a copper roof, you can rest easy knowing it’s going to last for 100 years or more. Even better, it only looks better with age. 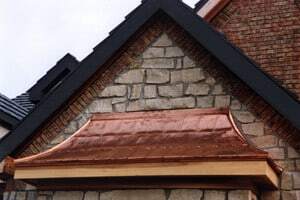 Copper roofing can be traced all the way back in 1801 for the Massachusetts State House, and since then, it’s been a coveted choice for commercial and residential applications. Disadvantages: More expensive. 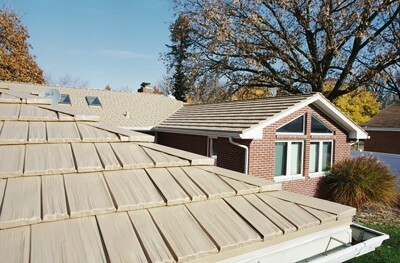 Runoff from copper roofs can stain other surfaces. Achieving patina takes many years. The metals listed above are the most common options available today, however, there are other options such as stainless steel, zinc, titanium, terne-coated steel, and terne-coated stainless steel. These are considered more exotic materials that are generally requested specifically by an architect for a custom application. Almost any style of roof can be achieved with metal, from the more traditional standing seam style to a vintage tile look or popular shake and shingle profiles. Just because you’re choosing metal for your roof doesn’t mean you have to be limited when it comes to style. No matter the age or design of your home, a metal roof can be installed to complement it exactly. Even though standing seam profiles have always been a popular choice for commercial applications, they tend to be somewhat lackluster on the home. The somewhat simplified commercial style certainly gets the job done and will last a long time, but new metal roof profiles such as shake, shingle, tile, and slate are a much more stylish option for the home. When you opt for one of these options, you will not only receive the long-lasting benefits of a metal roof, but you’ll also enjoy the timeless look of wood, tile, or slate. Shake, shingle, tile, and slate are all considered “modular” panels, but they vary significantly when it comes to their look and application. Metal shakes are manufactured to look like hand-split cedar shakes. Many homeowners are instantly attracted to metal shakes because of the rustic, classic look it adds to their home. However, unlike wood, metal shakes aren’t susceptible to cracking, splitting, or rot. By opting for metal shakes, homeowners can easily extend the life of their roof by 60 years or more as opposed to traditional cedar. The panels are modular and they come in a range of sizes — most commonly 2’ x 1’ or 4’ by 1’ — and they are usually installed in a staggered fashion to avoid the look of uniform vertical rows. Panels are secured to the roof deck with a nailing flange or hidden clip system. Shakes are generally more textured than shingles, giving the roof added dimension, meaning that it can often be installed right over the current roof. Metal shakes are typically fabricated from 26-28-gauge steel or 0.019” to 0.024” thick aluminum. Steel shakes generally get treated with Kynar powder or a post-forming stone coat to seal the edges and where there are tight bends. This adds an extra layer of protection on top of the zinc or the alloy glaze. Many quality manufacturers also offer aluminum shakes with premium post-forming coats, not because aluminum requires added protection, but because the coating lends an impressive overall look to the metal shakes. For a more cohesive look, most metal shake systems will include all the necessary flashings pre-formed, which typically includes everything from sidewall flashing, ridge and hip caps, gable trim, eave starter, and valley. The flashings are often universal, which means they will work well with a range of roof pitches. Some of the more high-end metal shake options will include an open valley system, which is designed to keep debris like leaves, ice, moisture, etc. out of the valley. Similar to metal shakes, metal shingles mimic split wood, but last a lot longer and require less maintenance. Shingles lend a lower-profile appearance than shakes, and they have a more modest overall look, which means they can match the general look of the other homes in the community. However, that doesn’t mean your roof will be boring. Metal shingles can be manufactured to look like wood, but they can also be crafted to look like Spanish barrel tiles, scalloped, or even diamond-shaped tile. Regardless of the profile of the tile, most metal shingles are fastened to the roof deck in the same way shake profiles are, which is with a hidden clip configuration or with a nailing flange at the top of the shingle. Some tile systems are secured with fasteners that are exposed rather than hidden, and some use a batten grid to attach the panels. Many of the popular tile roofing systems are manufactured in big sheets, which stretch from the roof’s ridge to the eaves. This results in a faster installation with fewer seams. Slate roof profiles are crafted using steel, copper, and aluminum to mimic the look of natural slate tiles at about 30-50% of the cost. Additionally, these metals are exponentially lighter than slate which is a benefit when installed on older buildings that may not be able to handle the excess weight. When people hear the term “metal roofing” they often first think of standing seam roofs. This profile is understated and simple, which makes it a great option for commercial applications, as well as barns, sheds, and the like. The most important thing to consider when opting for a standing seam profile is the size and the complexity of the roof. Most residential roofs have a more compact and more intricate profile, which makes standing seam systems a little tricky. 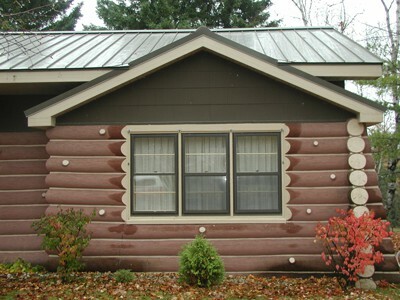 If you do choose standing seam for the home, a smaller panel width is best. Panel widths greater than 12” tend to look more commercial in nature. Standing seam roofs can be installed using either through-fastened or clip-fastened systems. Clip-fastened standing seam systems are more common than through-fastened systems, even though they’re costlier. In a through-fastened system, fasteners are driven through a flange that runs the length of the panel. The flange is hidden by the next panel, concealing it from the elements. However, because most residential standing seam systems feature panels that are custom formed to fit the entire length of the rafter, they expand and contract more than shorter panels. This slight movement in the panel will cause the fasteners to loosen and the holes where the fasteners were inserted to oilcan. Shorter runs, like over a porch accent or bay window are ideal for through-fastening. When installing standing seam over longer runs, the preferred option is a clip-fastened system. Ideally, the clips are made from the same metal as the standing seam panel, or from stainless steel (which is not susceptible to galvanic action between different metals). In this system, fasteners are driven through the clips into the roof deck. Unlike the through-fastened system, there is no penetration of the metal panel itself. Everything is concealed beneath the panel, giving the illusion that they’re “floating.” This helps ensure the system is more water resistant, and oil canning is less likely as well. The ribs between the metal panels are also something that must be considered. For sections with longer runs, or even for shorter runs that are downhill from longer runs, it’s recommended that taller ribs are used to help carry water down and away from the roof. This is a more elegant solution, but it does add cost to the project. Standing seam roofing systems are generally constructed from galvalume steel or galvanized steel, ranging anywhere from 18 gauge for heavier commercial projects to 26 or 28 gauge for simpler residential projects. Typically, 24 to 26 gauge is used for steel standing seams. Higher quality standing seam systems, for example, the ClickLock Premium Standing Seam are constructed with heavy gauge aluminum that ranges from 0.032” to 0.050”. Most standing seam systems come with coordinating pre-formed flashings. They help with ease of installation, and they help ensure the roof remains water-resistant for decades. To ensure the flashings match the pitch of the roof exactly, they should be custom crafted for each project. Often referred to as 5V Crimp, corrugated roofing, screw-down panels, “R” panel, or face-fastened panels, sheet roofing is a common metal roofing system that is available in many different profiles. Typically manufactured from galvanized or galvalume steel between 24 and 30 gauge, metal sheet roofing is characterized by large panels that overlap and are installed with exposed fasteners. The fasteners are placed where the sheets overlap each other as well as into the decking. To certify the roof is watertight, a neoprene washer is inserted between the fastener and the panel. A common pattern in sheet roofing is referred to as the 5V Crimp pattern. On each panel, you will see five V crimps, which results in a familiar, classic look. 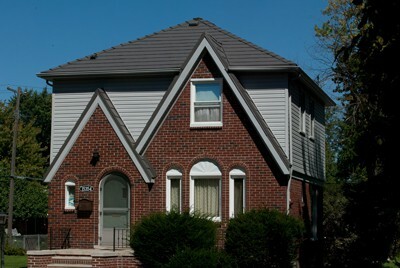 Some of the other sheet roofing styles create a more corrugated appearance. The pattern you choose will depend on your preferences and the style of your home. Depending on the option you choose, you can create a rustic look, a more historical look, or even a modern commercial look. You can also choose whether you want to finish it or leave it unpainted. The paints that are often applied to sheet metal are not as high quality as you will find on some of the other roofing systems, so you will want to be sure to examine the quality of the finish closely. Sheet roofing is generally higher quality than more traditional roofing materials, but it is the most economical metal roofing option. It is easier to install, but it may not last as long as some other metal roof systems that are available. There are many choices to consider when it comes to metal roofing systems. 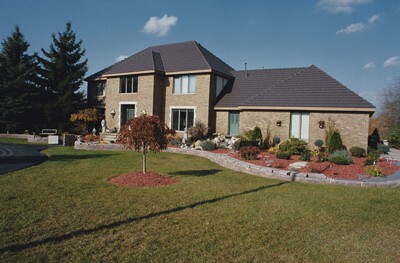 There’s a good chance you are drawn to the superior appearance of metal shakes, tile, shingles, or slate. Perhaps you prefer the modest, minimal look of standing seam systems. Either way, there’s a metal roof out there for you and your home. In fact, choosing which option you prefer may be difficult, especially with all the considerations to factor into your decision. We’re here to help answer any questions you have regarding your new metal roof. Please don’t hesitate to reach out to our friendly and talented experts.